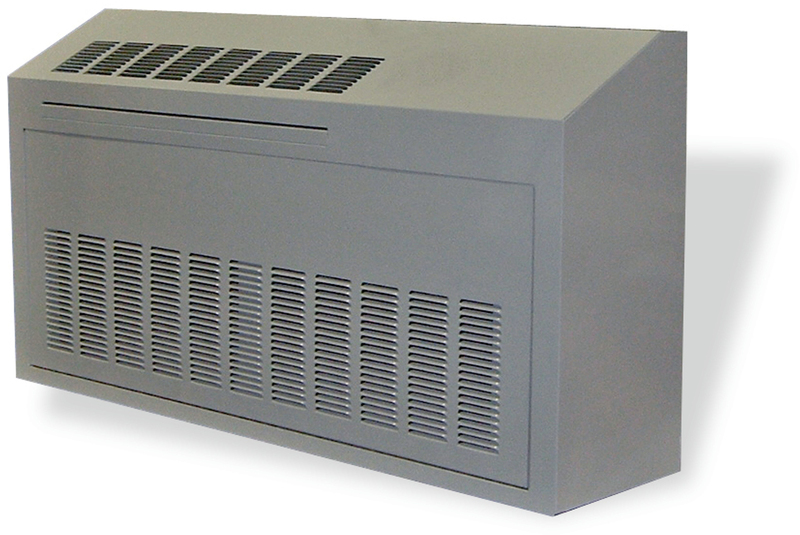 Older buildings have operational induction / radiators or packaged in room heating and air conditioning units that are in need of new enclosures. We work directly with architect/engineer, contractors or building owners to create enclosures that combine and updated look while maintaining performance and meeting the most demanding building conditions. Our engineering team can design a replacement enclosure for most applications. Designing flexibility into our products will reduce the cost of installation while allowing for building variations and the most complicated designs. Our designs include stand alone enclosures, column to column and wall to wall applications. Enclosures can be manufactured to mount on walls, floor, or window sill extensions. Spinnaker’s enclosures can be manufactured in a variety of different metals from standard galvanized steel, optional stainless steel, or aluminium in material gauges from 18 to10 gauge. We offer a wide variety of Powder coat finishes in standard or custom colours and textures.